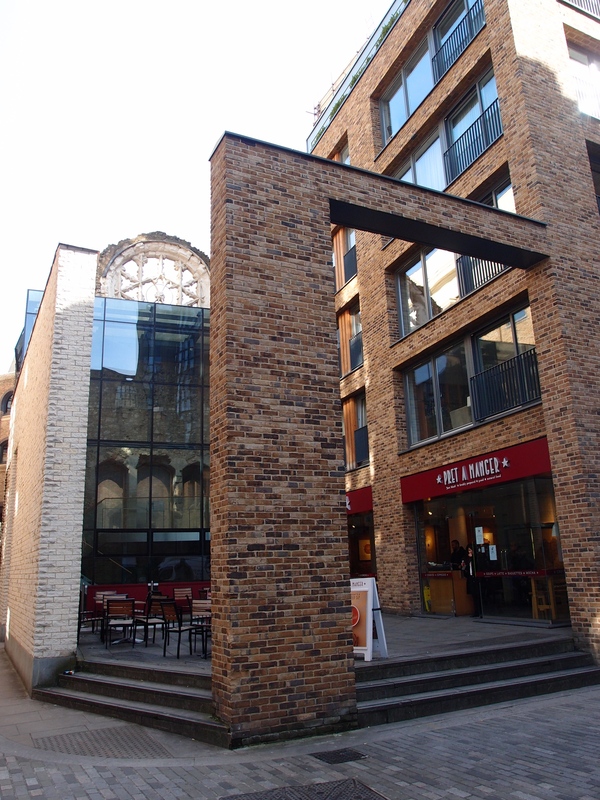 Within twelve hours of arriving in London, I spotted 34 Pret-a-manger stores between Tower Bridge and Covert Gardens. That is a lot, even by Starbucks standards. In such a highly concentrated area, with loads of café, restaurant and take away options on every corner, it struck me at the shear volume of people that would willingly frequent Pret. Boasting a “no labels, fresh [ish], healthy food” policy, the franchise makes their food – soup, sandwiches, snacks, fruit, pastries, sweets as well as coffee, tea and juices – on site. My anti-franchise self was reluctantly curious to find out what all the fuss is about: wifi. Yes, the food is fresh and yes, it’s not too bad if mayonnaise sandwiches with a side of ham and cheese and cavernous cups of Robusta coffee are your thing but there are two reasons why the ‘restaurant’ is so full and it isn’t the food. Pret is conveniently located everywhere and for the small exchange of your personal details, offers free wifi, a warm venue with table space to work. The added bonus at Pret is the food and coffee. So for roaming travellers, freelancers, students or business folk working on personal items, Pret presents the ideal location with moderately priced, ‘guilt free’ food choices to mooch as much wifi as possible for as long as you can handle being surrounded by 300 other people. ← Setting a new trend for the service industry.